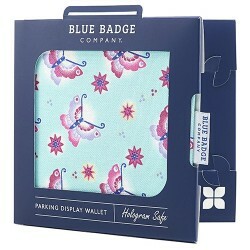 Bounce Badge Holder Protect, store and display your blue badge parking permit in a colourful and ..
Flutter Aqua Disabled Badge Holder Blue Badge Company designed fabric with butterflies & star..
Foxy'S Feathers Disabled Badge Holder Protect, store and display your blue badge parking permit i..
Matilda's Books Disabled Badge Holder A design inspired by Roald Dahl 's book Matilda with piles ..
Meow Blue Badge Holder The Meow blue badge holder is the perfect badge holder for cat lovers. The.. 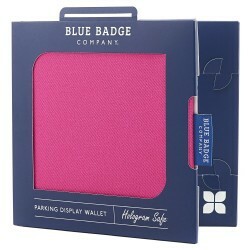 Pink Panama Disabled Badge Holder Plain hot pink wallet on 100% cotton drill. 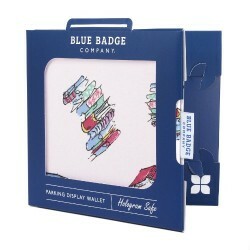 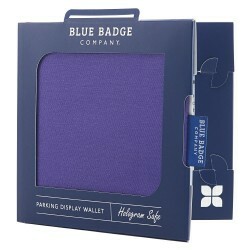 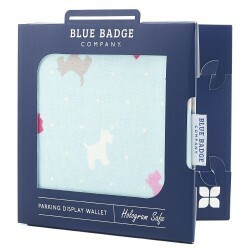 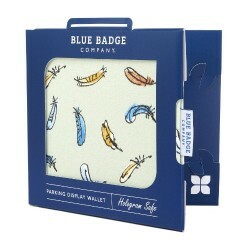 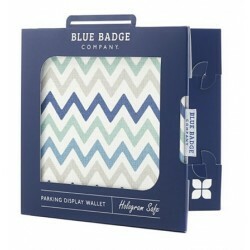 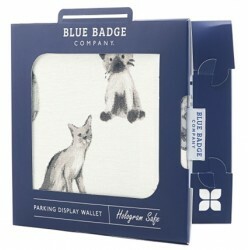 Protect, store a..
Purple Drill Blue Badge Holder Protect, store and display your blue badge parking permit in a col..
Runa Badge Holder Protect, store and display your blue badge parking permit in a colorful and con.. 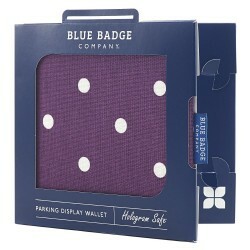 Spotty grape Disabled Badge Holder Vintage style spots in pastel grape on 100% cotton Protect,.. 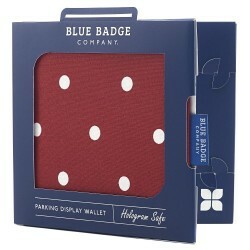 Spotty Red Disabled Badge Holder Vintage style spots in warm red on 100% cotton. 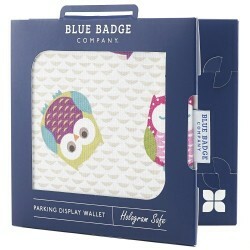 Protect, stor..
Twit-Twoo Disabled Badge Holder A collection of multi coloured and patterned owls on 100% cotton ..